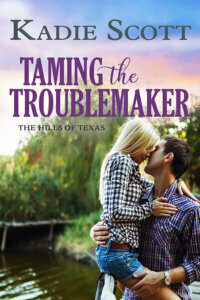 Today it is my pleasure to Welcome romance author Susan Carlisle to HJ! Hi Susan and welcome to HJ! We’re so excited to chat with you about your new release, Nurse to Forever Mom! 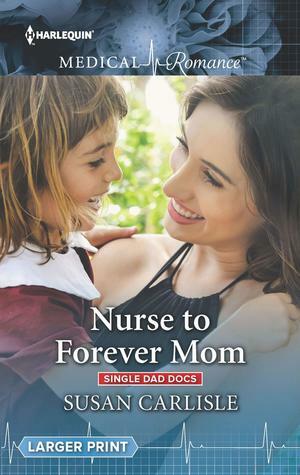 Stacey, a traveling nurse works with single father Dr. Cody,.They agree to an affair for a few weeks but when Stacey leaves is it really over? You can see I’m not really great a twitter! “Lizzy honey. Stay still,” Dr. Cody Brennan squatted on his heels in the hallway in front of the Daycare suite to re-tie his daughter’s hair bow. He couldn’t keep his frustration out of his voice as he fumbled at forming a loop with the slick ribbon. Suturing he’d learned in medical school not securing bows. “Daddyyyy, it has to be right,” Lizzy’s whine echoed off the hallway built of glass. “Hey, mind if I give it a try?” a sweet sounding feminine voice beside him asked. Cody looked over his shoulder. Two large, sympatric green eyes with thick dark lashes met his gaze. This is a continuity -Single Hot Docs-that 4 authors put together. Three in England, one in Scotland and the other in the US. Three of them had to wait 5 hours until I woke to make a decision on something in their books. The island of the coast of Boston is fictitious but everyone of the authors wished they could live there. The island has a big SUV that they use as a emergency vehicle. The other authors were surprised that I drive something like it, everyday. I’m as creative as Stacy. Cody is attracted to Stacey because she stands up to him. She isn’t intimidated by who he is.More than once she speaks her mind to Cody. She is her own woman while being soft as well. Stacey likes the fact that Cody is such a caring person, not only with patients but his daughters as well. Stacey is able to see his big heart even when he tries to hide it. Exciting, hot, moving, passionate and loving. His lips met hers. So delicious. Tender, yielding. Perfect. He wanted more. Stacey pushed him away. “Don’t,” she commanded. “We can’t do this.” She opened the door and hurried out. When they are riding back on the ferry from Boston. The ferry gently rocked. In minutes Stacey’s breathing turned even. When her head lobbed forward Cody put his arm around her shoulder and brought her to him. Her head rested on his chest. It had been a long time since he’d held a sleeping woman. Unable to resist he brushed his cheek against her hair. It was as soft as it looked and smelled faintly of the peaches he remembered. She murmured, shifted toward him then settled. Cody closed his eyes. It seemed only seconds later the push of hands on his chest woke him. 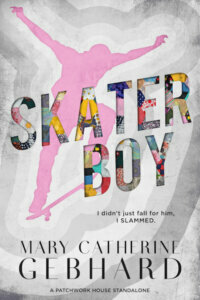 Stacey’s eyes were wide and her hair wild as she stared at him in alarm. She had such expressive eyes. Cody couldn’t imagine her telling a convincing lie. “I’m sorry I went to sleep on you. I hope I didn’t drooled on you.” She brushed at his chest. The tip of her fingers leaving hot spots through the fabric of his shirt. “I wasn’t asleep on the deck. I was thinking. Enjoying the sunshine.” She stretched showing a hint of skin at her waist before she tugged at her clothes, adjusting them. The scene where Stacey is helping the girls to find costumes for a program. This scene shows Stacey as a creative person who is willing to go the extra mile to help. Cody can clearly see that Stacey is the type of mother that he would like the girls to have. It makes him like Stacey even more. Because the characters are deep with real problems to overcome. Everyone loves a hero that has children and the woman who fills the hole in their hearts. Plus, the setting is super neat. Don’t miss this book. I will have a book out in the summer. I am currently working on another continuity that takes place in Scotland. It will be a Christmas release with snow and wonderful Scottish accents. 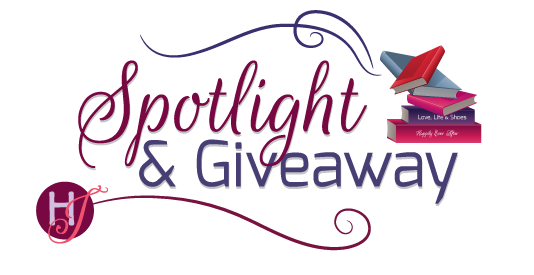 To enter Giveaway: Please complete the Rafflecopter form and Post a comment to this Q: Would you enjoy living on an island? Not giving him a choice the woman moved in close. A hint of peach tickled his nose as she tugged the ribbon from his hand, hers brushing over his. With a quick side step, he moved aside giving her better access to Lizzy’s ponytail. As if by magic Lizzy went statue still and the woman in a deft twirl of fingers secured the bow. “There you go,” she announced with such fanfare that she might have been giving Lizzy an award. “You need to tell the lady thank you first.” He used his stern father voice. “Thank you,” Lizzy obeyed with uncharacteristic shyness. “No problem.” The woman smiled. The beautiful upturn of her mouth captivated him. Her full lips surrounded white straight teeth creating a unique sunbeam that pulled him towards her, making him feel good. A sensation he’d not experienced in a long time. Lizzy tugged on his hand again. Seeing she had regained his attention she towed him into the Daycare. When he walked out a few minutes later, he looked for the woman. There was no one in sight. She’d been wearing a knit top and jeans, so she must be making an early morning patient visit. Why she had grabbed his attention so, he couldn’t fathom. He’d been off women for what seemed like ages now and that suited him fine. After the years of anguish and constant distress his ex-wife Rachaelhad put them through, his children and he had found contentment. Throughout his life he had admired his parents’ marriage. He wanted one like theirs but that dream had been destroyed by the reality of a wife struggling with a drug addiction. Supporting her and raising two small children while at the same time completing his medical training had made him want to find a simpler life. Moving to Maple Island had given him that. It had taken years but he now had the peace he hoped for and the ability to give his girls the attention and security they deserved. Bringing someone into their world would only disrupt what he had so carefully built. After a car accident, his ex-wife had become hooked on pain killers. He seen the signs, had tried to help Rachael. She was in and out of rehabilitation but nothing seem to work. Life became a round of clinics, counseling, begging and shouting. After finding one of his prescription pads missing he knew the crisis Rachael had created had to end. He finally accepted defeat. Their marriage was over. He had the girls to consider. Unable to save Rachael, he had to think of Jean and Lizzy and his sanity. He filed for divorce and full custody. With years’ worth of documentation against Rachael, her parental rights were permanently revoked. Being a solitary parent and a surgeon with a demanding job hadn’t been part of his life plan, yet here he was. Soon after the custody trial he’d met Alex and the answer to his problem had been born. Every day he was grateful for that serendipitous bar conversation he’d had with Dr. Alex Kirkland about the perils and the pitfalls of solo parenting. Through their commiseration the dream of a first-class, cutting-edge clinic with an equally state-of-the-art daycare for employees was born. Faster than Cody had imagined, he’d become Alex’s partner and co-founder of the Maple Island Clinic off the coast of Massachusetts. The daycare had been a lifesaver, but Cody’s problem this morning had been that children were supposed to show up already dressed for the day and in his five-year-old daughter’s mind that included a properly tied hair bow. Lizzy didn’t consider herself dressed without a ribbon in her hair. Like this morning, Cody sometimes worried he might not be enough for Jean and Lizzy. He often felt they needed that special attention that only a woman could provide. He shoved that thought away, his teeth clenching from the force of his resolve. He couldn’t risk a repeat of the hell Rachael had put them through. What if he chose wrong again? Enough of those thoughts. He didn’t have time to review ugly memories. Besides being a single parent, as an orthopedic surgeon specializing in knees and legs, he had a busy clinic and full surgery schedule to occupy his mind. Some attractive woman visiting a patient shouldn’t even be a concern. Heading down the hall, he soon entered his office and habitually checked the time. He could complete some paperwork and make a couple of phone calls before he was needed in the OR. An hour later dressed in green scrubs and matching surgical gown with mask in place he pushed through the OR doors. He had a meniscus repair to perform. It always troubled him that he was intelligent enough to do such delicate surgery but he couldn’t save Rachael. His team was waiting on him. The patient was on the table with his left knee surrounded by blue sterile drapes. Cody looked at Mark, the anesthesiologist. “All set,” Mark confirmed without being asked. “Everyone ready?” Cody glanced around the table. Normally Cody would have met his replacement nurse before she started. Instead he had trusted the personal department to handle it. His regular nurse would be out for a month taking care of her aging mother after a surgery. He had just vetted this new one on paper seeing she came with the highest recommendations. However, her straight forward approach hadn’t been noted. There were suppressed mummers behind the masks of his team members. Were they as shocked by her boldness as he? As a rule, the people he worked with didn’t use such an imperious tone with him. “Yes, sir.” Stacey Ryder quipped with a note of humor in her voice as if she had given him a mental salute. He narrowed his eyes. She didn’t blink. Dismissing her, Cody looked at the knee making sure it was the one he’d written his initials on. The patient’s leg already had a tourniquet in placed and was held secured to the table in a padded leg holder. Cody made a small incision to prepare for the diagnostic camera that would give him a view of the joint. He located the damaged meniscus and probed it with a tiny metal hook. “Why not?” his new clinical nurse asked. Cody couldn’t fault her logic. “I’m going to make the lining bleed and then suture it together. First I need to make another incision to work through to do that.” As he did so blood oozed into the field making his visibility poor. Without him having to ask, Stacey used already prepared gauzes on forceps to wipe it away. His surgical nurse handed him the equipment required. “Yes, sir.” She replaced the gauze and dabbed the area. Cody watched. “Good.” He worked the thread into a neat stitch. “Yes, sir.” She quietly left. For some reason the room felt cooler. So long as the island has all the amenities I need, I’d be happy to. I am not sure but I have always wanted to give it a try. I would love to live on an island. Seeing water all the time would be so soothing. I would love living on an island. Particularly, a Hawaiian island. I would love to live a tropical island. To be honest I don’t know, but I would give it a try. It depends on the location and technological level of the island to be honest. Would you enjoy living on an island? No as I prefer lakes and mountains. Only if it was a lovely tropical island! There are definitely days I wouldn’t mind living away from the large urban city I live in. Plus living near water is sooo healing. Thanks for the chance. I think that I would! I probably would although I consider myself more of a mountain person. Yes I would enjoy living on an island. A bit of solitude and a slower pace of life would be welcomed. Yes, I think I would love to live in a island.